What are the best Spring Break Cabo San Lucas Hotels? As Cabo comes to the forefront as the emerging hotspot for Spring Break 2018, we have many students asking… “What are the best Spring Break Cabo San Lucas Hotels?” In Cabo all of the action centers around Medano Beach. This is the only swimmable beach in Cabo San Lucas and is lined with beachfront bars packed with College Students from all over the US. Regarding hotels, we recommend staying at an all-inclusive resort. For a few extra bucks, you will have all of your meals and drinks included. Some hotels look cheap upfront, but once you add in $100-$200 a day for meals and partying, you will see what a value the all-inclusive resorts in Cabo provide. 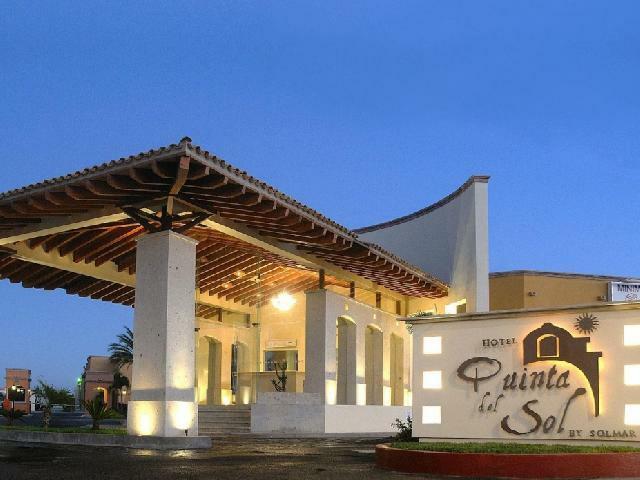 If you are on a budget and looking for something close to Medano Beach, the nightclubs, and right in the heart of action–look no further than the Hotel Quinta del Sol. Blocked out exclusively for 250 college students this inexpensive, all-inclusive hotel will most definitely be a rowdy and convenient place to stay. There all-inclusive program includes daily access to the bars and restaurants at the beachfront Solmar Resort as well. If you’re looking for something more resort style but still close to the heart of the action, the all-inclusive Solmar resort is an amazing option for you. With a bar in the main pool it will be hard for you to decide if you want to waste away there when you wake up or head down to the beach bars on Medano. Another resort that is jam packed year-after-year with the crazy college students in Cabo would be the highly sought after Riu Santa Fe. Their set up is top notch with an amazing beachfront pool with swim up bars that are known to come alive with college students from all around the country. 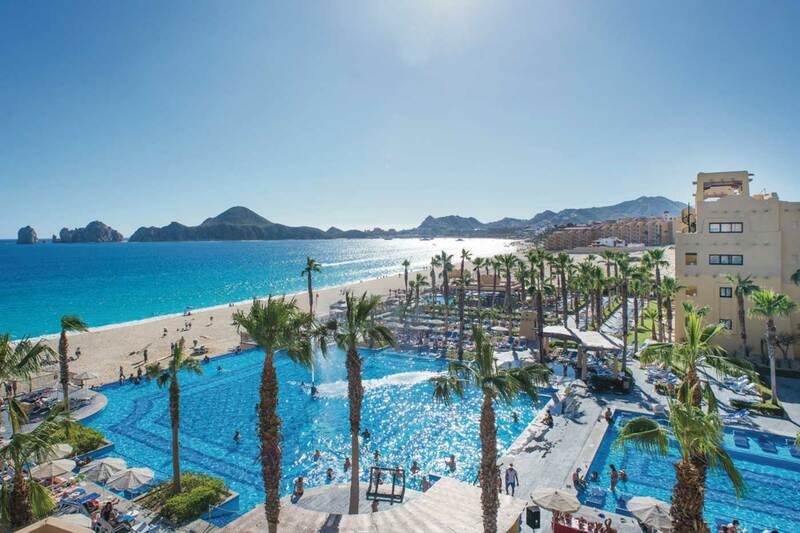 If your not too concerned with partying every night and are looking for a 5 star super upscale all-inclusive resort in Cabo we recommend the Barcelo Gran Faro Los Cabos which is located in San Jose–a surfer town 30 minutes from North of downtown Cabo. Our students love the lighthouse bar that gives you a top-of-the-world 360 degree view of the city and sea! For Spring Breakers on an endless budget and don’t necessarily NEED an all-inclusive plan for your Spring Break trip, the Me Cabo is worth a splurge for any daring Spring Breaker. It has the huge internationally known Blue Marlin Ibiza club right smack in the middle of the property where DJs and major talent host wild parties every single day. Me Cabo is also right on the swimmable Medano Beach so it’s price tag is well worth it for Spring Breakers who want easy beach access (which is hard to find in Cabo). Luckily for you, STS has contracted the best resorts in Cabo San Lucas for our Spring Breakers! If you have any questions about what resort might fit you best in Cabo San Lucas feel free to give us a call today to talk to one of our Spring Break specialists!